Open 364 days of the year (closed on Christmas Day) subject to observation deck closures for special events. These deck closures are updated on our website www.calgarytower.com. Open every day of the year (except Christmas), this attraction is a landmark of the city. 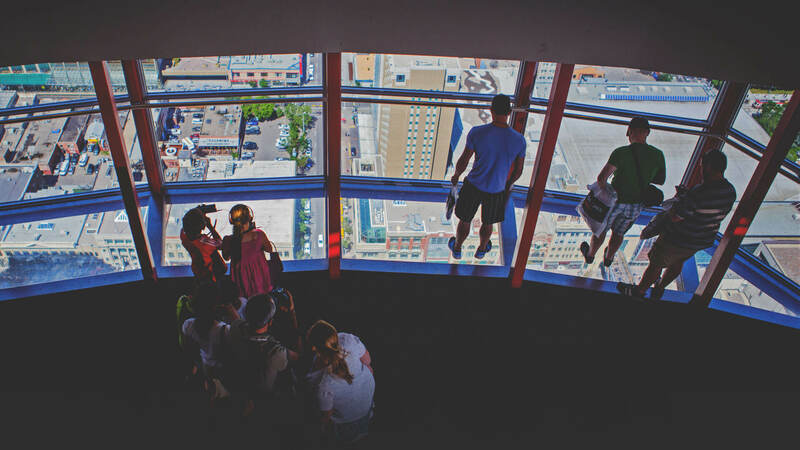 Come to the Tower for a 360 degree view of Calgary from the 191 metre observation deck, and gaze at the mountains and prairies that surround the city. This is a great experience for an hour, an afternoon, or an evening in the city. 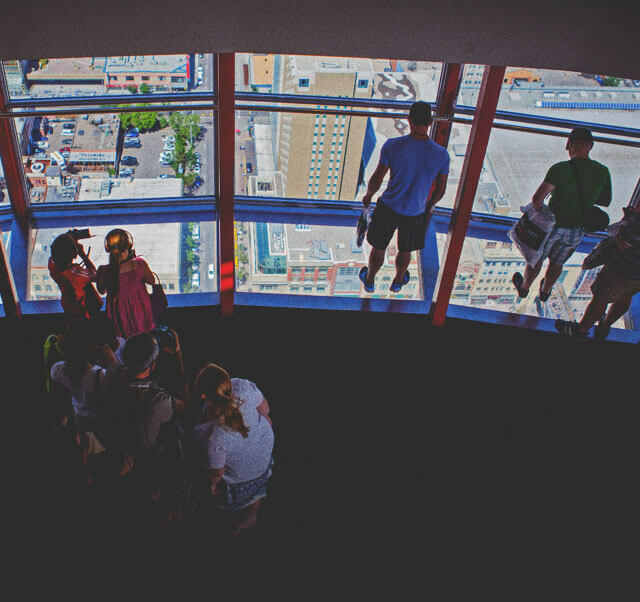 Located at the top of the Calgary Tower, SKY 360 is a revolving restaurant and bar that offers spectacular food, inviting contemporary design and an award-winning wine program. This unique dining destination towers above the rest. Stand on the amazing glass floor for a birds-eye view of the streets below.